The youngest brother of Saudi Arabia's King Salman has returned from self-imposed exile to "challenge" Crown Prince Mohammed bin Salman (MbS) "or find someone who can," reports the Middle East Eye. Prince Ahmad bin Abdulaziz is reportedly hoping to oust his 33-year-old nephew in the wake of an allegedly state-sanctioned murder of journalist Jamal Khashoggi. MbS has virtual control over Saudi Arabia after a June 2017 shakeup in which King Salman removed Muhammad bin Nayef as heir apparent. Prince Ahmad has reportedly been meeting with other members of the Saudi royal family living outside the kingdom, along with "figures inside the kingdom" who have encouraged him to usurp his nephew. According to MEE, "there are three senior princes who support Prince Ahmad's move," who remain unnamed to protect their security. According to Saudi dissident Prince Khalid Bin Farhan Al Saud, he expects a coup to be orchestrated against King Salman and MbS, as reported by the Middle East Monitor, which reports that a coup is "imminent." "The coming period will witness a coup against the king and the crown prince," said Prince Khalid while commenting on the Khashoggi murder. Khashoggi, a 59-year-old Washington Post journalist who had criticized the Crown Prince, was murdered on October 2 after entering the Saudi consulate in Istanbul to obtain paperwork ahead of his upcoming wedding. His body has not been found, but is believed to have been dismembered after he was reportedly choked to death. 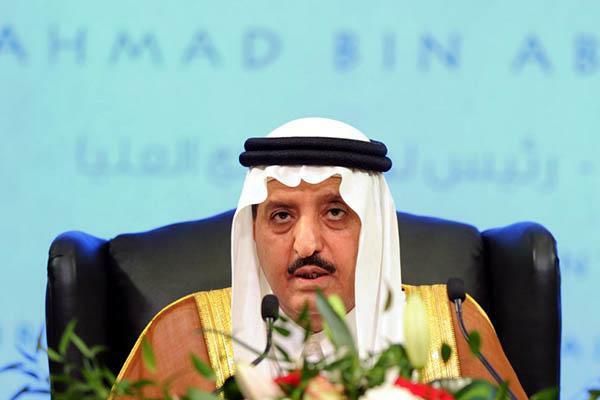 Prince Ahmed bin Abdulaziz, 76, has been living in the UK for several years after serving as Saudi Arabia's deputy minister of interior between 1975 - 2012, and briefly as minister of interior in 2012. Ahmed was seen as a potential candidate to succeed King Salman in the early 2000's, however he was sidelined in March 2014 amid one of several shakeups within the House of Saud. On November 4, 2017 bin Salman began arresting as many as 500 Saudi princes, government ministers and businessmen - detaining them in the Ritz-Carlton hotel in Riyadh. Private jets were grounded to prevent people from fleeing, while over 2,000 domestic bank accounts and other assets were frozen as the government targeted up to $800 billion in wealth that was reportedly "linked to corruption." Prince Ahmad was protected from the purge, as MbS was unable to touch any sons of King Abdulaziz, founder of the modern Saudi state. As MEE notes, Prince Ahmad's return comes amid a tense standoff between Saudi Arabia and Turkey following the Khashoggi murder. Turkish authorities have demanded to know what happened to the journalist's body and have requested audio of the execuiton rumored to exist. Despite Saudi chief prosecutor Saud al-Mojeb and Istanbul's chief prosecutor Ifran Fidan meeting twice over the last several days, no progress has been reported. The Saudis, meanwhile, continue to refuse Turkish investigators access to a well located at the home of the consul-general which lies 500 meters from the consulate. So far 18 suspects have been arrested in the murder, 15 of whom were members of a death squad reportedly sent to kill Khashoggi. MbS, meanwhile, has denied any knowledge of the operation which reportedly included five members of his personal security detail - three of whom have accompanied the Crown Prince on high-profile trips to Washington, London and Paris. The exiled prince has challenged his nephew at least three times, according to MEE. Ahmad told the hecklers that the Saudi royal family as a whole is not responsible for the war in Yemen - just the king and crown prince. "They are responsible for crimes in Yemen. Tell Mohammed bin Salman to stop the war," Ahmad told them in Arabic.